Wrangle data for reporting and analysis with a product built for finance. Create and manage multiple data tables. Easily combine inputs and automate data transfers from ERP, CRM, GRC, HCM, or other on-premises and cloud-based systems without complex setup. Unstructured data can also be sourced from standard desktop tools, documents, and enterprise systems to consolidate and manage large datasets in a single place. Connect and combine data from multiple tables, leveraging common functions, including join, union, group, select, filter aggregate, and standard calculations. 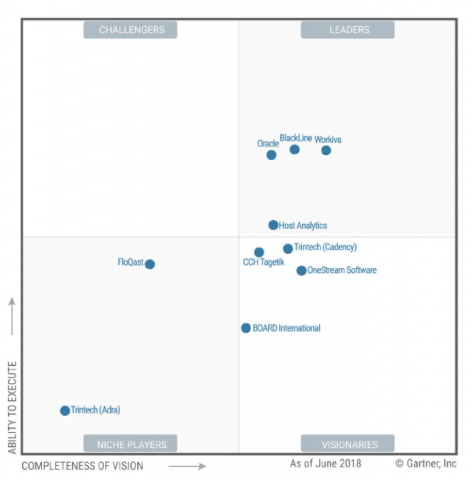 Advanced SQL scripting is available for complex data transformations. Quickly refresh datasets from source systems without impacting report formatting or templates. Apply customizable data tags or attributes to imported datasets with self-service data preparation. Create, manage, and join datasets adding metadata and other context as needed. 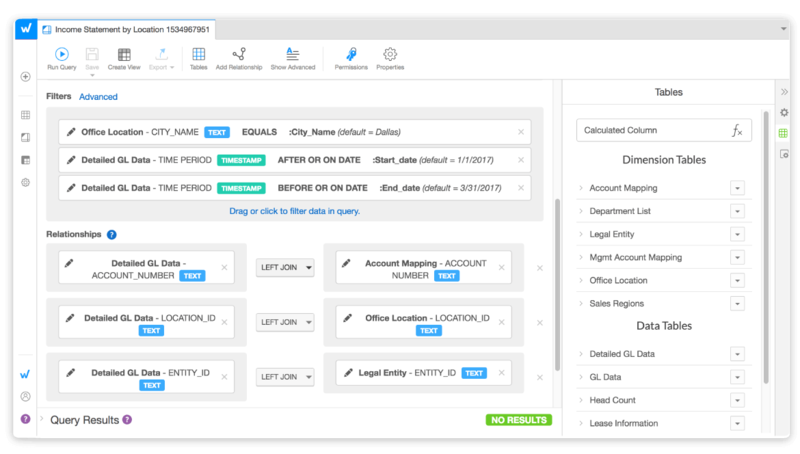 Add structure without predefined system mappings, such as account mapping, location hierarchy, or exchange rate. Securely share raw or prepared data for use in multiple reporting streams. 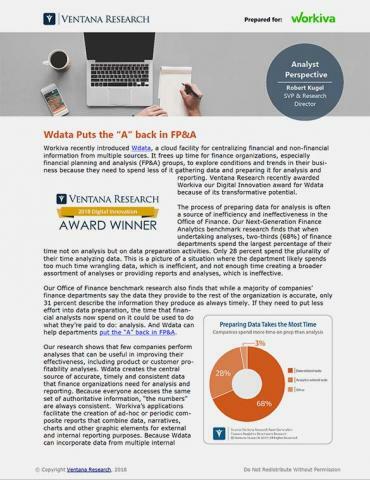 Unlike traditional data preparation tools, Wdata is a finance-focused solution to help manage ad hoc report requests and perform faster exploration and analysis. 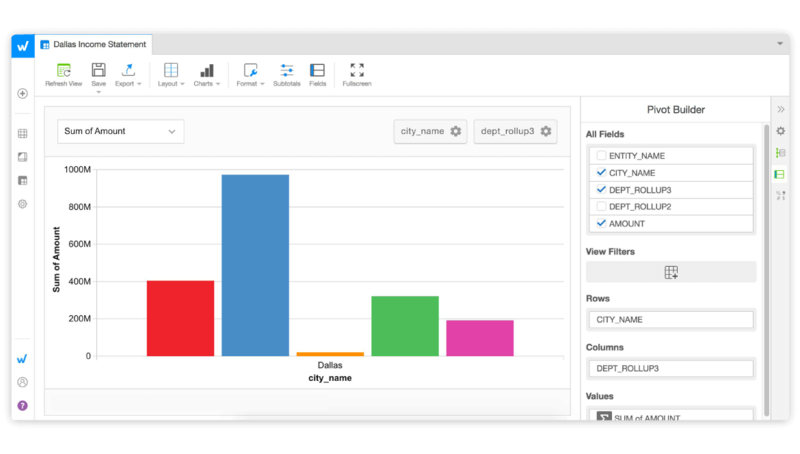 Basic or advanced options in the report builder enable users to easily transform data and generate different views to deliver insight. 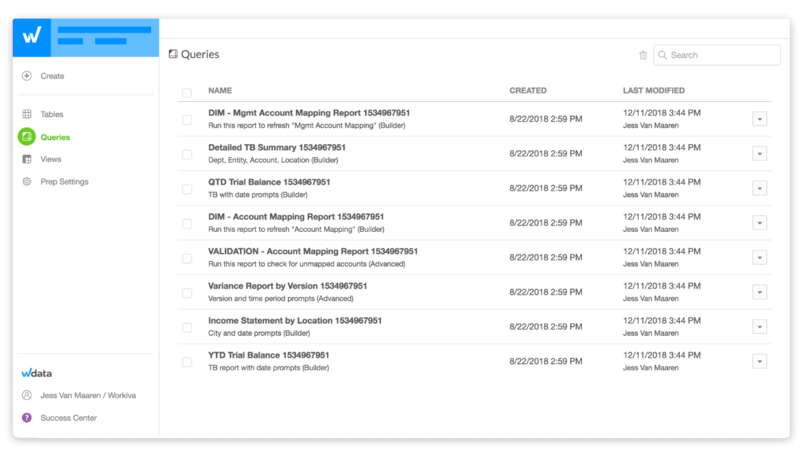 Empower FP&A teams with data aggregation capabilities, and securely share and collaborate with team members, management, and other enterprise stakeholders. Connect to prepared data, and instantly update financial and operational reports—including board reports, investor presentations, management reports, and SEC filings—without leaving the platform. Easily roll forward frequently used reports and data, and perform ad hoc analysis. Numbers and narrative add context and ensure financial data quality. Teams can leverage real-time data with live, embedded charts and graphs in presentations and reports. Linked commentary and variance analysis provides faster insight in an automated and auditable way. Augment your big data and data warehouse initiatives, and reduce or eliminate dependencies on desktop databases, fragile spreadsheets, and manual processes. Versioning and access to drafts and final outputs with granular permissions are built in. Perform complex queries involving hundreds of millions of records and terabytes of data in a matter of seconds. 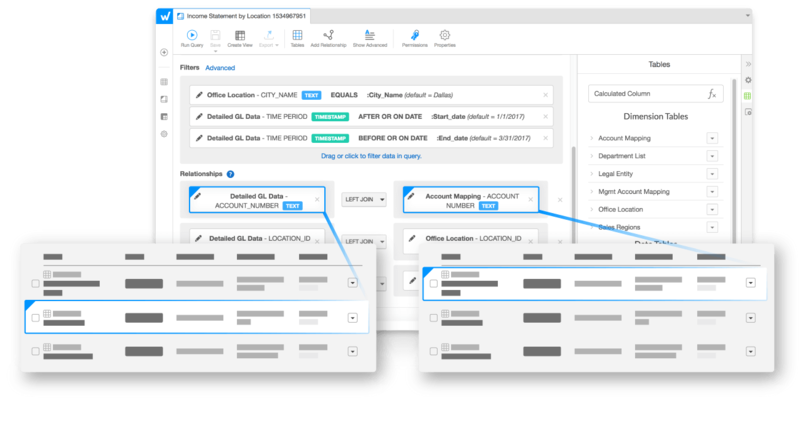 Simplify calculations with drag-and-drop aggregations. The elastic scaling capabilities of Wdata ensures ample capacity for enterprise-level data as volume increases. Transform your investment compliance and mutual fund reporting processes. The fundamental problem that Workiva seeks to solve is availability of data in the right place at the right time. Once you get the data to populate your reports, it's there to use for a plethora of other types of projects or reports. The next thing we started using Wdesk for was our Annual Statement footnotes. Depending on which reporting cycle it is, we can go in, make quick updates, input our data, and instead of having to reformat everything, it’s all there for us—and it looks nice.